The serviceman offered some helpful hints as well as fixing problem. On that visit, service technician did not test dryer with a typically-full load. Now, when a full load is in the dryer, the drum does not turn & contents are damp and tightly wound together. OVEN WHIRLPOOL WFG505M0BS3 Ms pic.Replaced the torn rubber oven door gasket. Tested to 350..advised the customer to modify her baking sheet so it is not covering the bottom heat vents. DRYER WHIRLPOOL CGM2941TQ2 "Dryer ....checked dryer operation ..dryer not heating ,,checked thermostats and thermo fuse ,found thermal fuse is bad ,replaced thermal fuse wp 3392519 ....tested all operation all heating good and running good ,now send bill to office ,; used 1 WP3392519 (THERMAL FUSE) from stock"
WASHER MAYTAG MTW5800TW0 "Washer ....checked washer operation .washer on warm water setting ,when washer switches to hot water filling ,no water comes in hummus ,customer does not have fill hose to hot water side of valve ,.instruct customer on this ,does not want hose on hot only cold ,,just keep water temp set on cold ." DISHWASHER WHIRLPOOL WDP370PAHB0 "Installed new sump/motor assembly and tested, no leaks, wash motor coming on. Ran diagnostic calibration cycle, no errors, heater came on at end, all ops good"
DISHWASHER WHIRLPOOL WDP370PAHB0 "Wash motor not coming on. Ran diagnostics, got 4-3 error for wash motor failure and 7-1 for no heat. Unit filled normally and dispenser door opened but wash motor not coming on. Checked connections, all good. Ordering new sump/motor assembly. ; ordrng 1 W11025157 (SUMP/MOTOR)"
REFRIGERATOR KENMORE 106.679798 "Temp control failing, cust will get up in the morning and everything will be warm, but if she whacks the control knob it will start up and run normally. Contacts in temp control bad. Ordering temp control, will call at Vadnais Heights, will pick up later today and try to return tomorrow. Cust has dr appointment at 2 pm so we need to try and be back and have job finished by 1 pm. 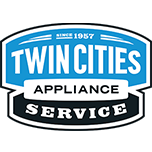 Cust could not find checkbook so will collect for full charge on return, gave cust estimate of $266.24; ordrng 1 WILLCALL (VADNAIS HEIGHTS) and 1 WP2200859 (TEMP CONTROL)"
REFRIGERATOR KENMORE 106.679798 "Installed new temp control and tested, cooling came on normally. All ops good"
WASHER WHIRLPOOL MVWC565FW0 "Washer ...checked out washer operation,,,,,,checked cycle operation ,ran washer cycle and checked lid switch lock .,all normall working good ,,,won't lock until rinse and spin ,,normall ..checked water level on auto sensening .washer checked normall starts to agitate and after 2 mins in sensening part stops and fills with more water to come up to the clothes ,,,all normall and working good ,...recalibrated control ,and tested ." DISHWASHER KITCHEN AID KUDS02FRSS2 "Both drain hoses where all plugged up I replaced them with truck stock ran dishwasher through a short cycle checked and tested ok completed ; used 1 8269144A (DRAIN HOSE), and 1 WPW10545278 (LOOP HOSE) from stock"
DRYER MAYTAG MDG4806AWW "Dryer ....checked dryer operation ...checked dryer with full load of towels ..found drun is slipping and not turning ,,checked and motor is good ,motor pulley is also good .idler pulley is fine .drum belt is bad stretched out ..replaced drum belt 40111201 from truck stock ..ran and tested all working good now drum turning fine . ; used 1 40111201 (BELT) from stock"
DRYER MAYTAG MDG4806AWW "Dryer ....checked dryer operation .....checked cycle operation .ran and tested drum rotation ,drum and belt are fine ,,drum turning fine ,,,ran cycle and checked on Senser dry cycle working good ,dryer heating great ,cycle off and not overheating ,,all normall working great now ..no problem found ." REFRIGERATOR WHIRLPOOL WRF736SDAM14 "Doors not closing properly, caused ice buildup on freezer fan motor. Cleared ice and repaired freezer door rails. Adjusted ref doors so closing properly. Icemaker working"